"First I thought I was fighting for the rubber tappers,then I thought I was fighting for the Amazon,then I realized I was fighting for humanity"
The Brazilian Amazon is vanishing at a rate of 20,000 miles a year, mostly by the illegal logging of timber by Brazilian ranchers (grileiros) for purposes of International Trade. These grileiros exploit Amazonian Land used by local peasants for sustainable agriculture and residence. This case study will cover in depth the repercussions of the illegal logging of timber in Pará, Brazil, including the never-ending disputes over the Amazonian land between the grileiros and the peasants who reside in the area. For the past 20 years more than 1,400 peasants, rural workers, and activists have been murdered fighting for the land. Out of these 1,400 murders only 77 cases have been judged. In 2003 and 2004, all around Brazil, more than 200 rural workers have been threaten to death. The term “deforestation” is one where the environmental community has not come to a consensus as to how it should be defined. Governments and Institutions defined the term as they see fit, using two main definitions as their guidelines. The first definition, or the broad view (used by the United Nations Research Institute for Social Development) defines “deforestation” as the conversion of forested areas into non-forested areas, including “degradation that reduces forest quality”. The second definition, or the narrow view (used by United Nations Food and Agriculture Organization) defines “deforestation” as “the removal of forest cover to an extent that allows for alternative land use”. The term deforestation includes, but is not limited to: forest clearing, slash and burn cultivation, and commercial logging. This is an epidemic that most regions of the globe are suffering from. The broad view definition is preferred by most environmental groups because it includes all kind of degradation (human or natural) to forest quality. “Illegal Logging” is defined as “[the] logging in national parks and other “protected areas” without government authorization, or where such authorization was obtain by bribery”. Therefore, for logging to be deemed “illegal”, there must be legislation protecting the land where the logging its taking place. In the case of the Amazonian Jungle, “illegal logging” is something relatively new. 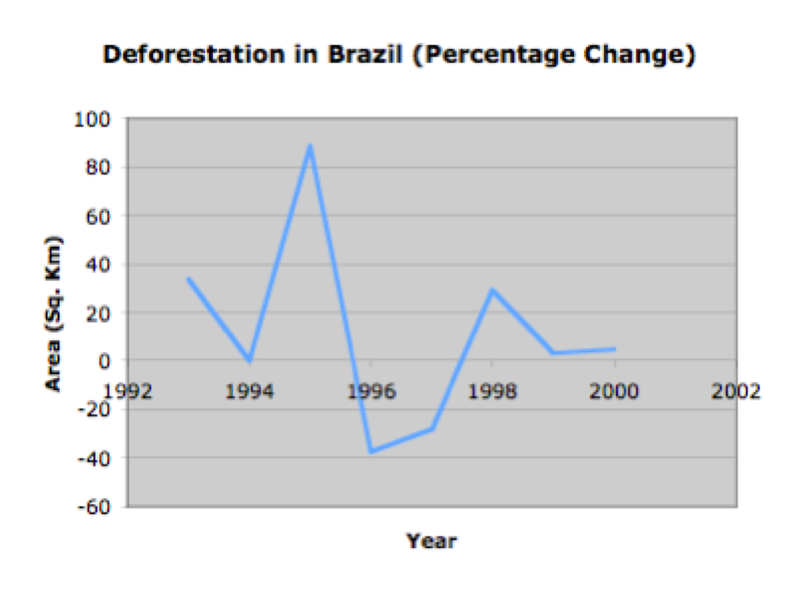 Sadly, Brazilian deforestation is correlated to the growth of the Brazilian economy. Therefore, it was the Brazilian Government who first promoted the use of the land for "development purposes". In 1996, Brazilian President Cardoso signed Decree # 1775 which permitted businesses to challenge indigenous land titles. Loggers seeking mahogany, now mostly inaccessible, would go to areas were peasants and indigenous groups reside and take their land to continue with their operations; killing whoever interferes. Due to the increasing rate of deforestation, it had become evident that previous regulation was not working. Therefore, later that year, Decree # 1963 was put into effect, derogating Decree #1775. In addition, in the year 2005, Brazilian President Luiz Inacio Lula da Silva signed a measure protecting 83,200 square-kilometers of the Amazonian Jungle that include the states of Pará, Mato Grosso, and Rondonia where logging its currently taking place. This measure was a result of global pleading to put a stop on the many murders being committed by grileiros in the area, in their pursuits of logging Brazilian timber. However, grileiros continue to take the land where the peasants and indigenous groups reside. The logging of Brazilian timber is not a new concept. Since the 1970’s there have been several Brazilian groups promoting the preservation of the forest. 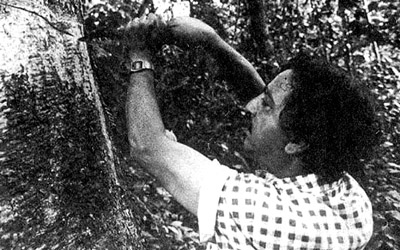 Although, Global awareness emerged in 1988 with the death of Brazilian activist Chico Mendes; murdered at his home by a Darly Alves da Silva, a local rancher who was looking to log an area planned for a reserve. Mr. Mendes stopped the deforestation and gained a warrant for Alves’ arrest, who out of revenge murder Mr. Mendes. Out of the 1,400 murders arising from Amazonian Land disputes; half of them have been in Pará. These atrocities do not seem to stop, because there have been pressures from the international trade market to continue with the logging. The price of one mahogany tree sells for approximately $20,000; making its logging really atractive. Other governmental mechanisms, like biannual export quotas on mahogany, established in 1992; however, in certain years the export of mahogany exceeded the quotas; highlighting the inefficiencies of government and the system (black market). The United States is responsible for over 60% of all the global mahogany exports, mostly from Brazil, Bolivia, and Perú. Several links have been established between illegal mahogany trade from Brazil to US and EU ports. In fact, a month after sister Dorothy Stang was murdered (see III-Conflict Aspects), Great Britain proposed an initiative to prevent trade of illegal logged timber. Initially, the reaction of the G8 environmental ministers was favorable; they agreed to some steps to stop the trade and support policies by the countries where the logging is taking place. Nonetheless, the United States did not sign all of the measures, which seems to imply their intention to promote the trade of illegal timber. 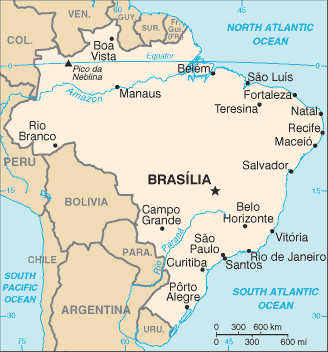 Pará is located in the northern part of the Brazil with Belém do Pará. as its capital . The area of Pará is 1,253,164.5 square kilometers; mostly covered by jungle (Amazonian Rainforest); and with a population 5,181,570. Mahogany or Swietenia is the major tropical timber traded throughout the world. These trees may be found in Africa, the Caribbean, and South America. The most common type of mahogany is the Big Leaf Mahogany or Swietenia mcrophylla, which is mostly found in Brazil in the states of Mato Grosso, Para, Acre, and Rondonia. In 2000, Brazil exported 43,364 m3 of mahogany mostly from trees in the Para state to places such as the United States, the United Kingdom, the Dominican Republic, Argentina, and Puerto Rico, to name a few. On account of the high production of mahogany, the way the timber is extracted is not the most environmentally friendly. As matter of fact, the way the timber is currently being extracted, plus the heavy machinery used for the extraction, has caused a major loss of the residual stand of mahogany trees, making it harder for them to naturally regenerate, a process necessary for the continuance of logging operations. Due to this regeneration problem, legislative measures have been taken in order to conserve the mahogany trees and land areas in the rainforest. As a consequence of the scarcity of mahogany and the protective measures of the resource, illegal logging and trade of mahogany have become a serious problem in Pará. Loggers have resorted to intimidation and murder of hundreds of poor residents in order to gain domain over the land. The government has tried to implement laws to prevent this illegal logging and trade, such as, a Plan for the Prevention and Control of Deforestation, in which the government designated five million hectares as conservation areas, also, the establishment of export quotas. These measures do not seem to stop the loggers. In fact, it seems that through bribery, the loggers have been able to get some officials to look the other way; loggers seem to continue their intimidation tactics with the poor residents and murder those who stand up trying to protect their homes. The Amazonian Rainforest was originally comprised of 2 million square miles of dense tropical forest, 1.2 of which was in Brazil. A fifth of which has currently been destroyed. The Amazonian Rainforest, also known as a tropical moist broadleaf forest, is characterized by warm humid climates with year-round rainfall; with soil that is generally poor and leached; and high diversity of flora and fauna. Also, is home of indigenous people, the Yanomami (See Yanomami Case) and the peasant communities. The Amazon is part of the Neotropic ecozone, which is an ecological term used for conservation purposes. Brazil harms Brazil – The Brazilian loggers are the ones harming the residents of Pará. "I don't want to flee, nor do I want to abandon the battle of these farmers who live without any protection in the forest. They have the sacrosanct right to a better life on land where they can live and work with dignity while respecting the environment"
The land disputes in the Amazonian rain forest are internal civil conflicts between the loggers and large landowners who are pushing off the poor of the area and the poor residents trying to stand up to the powerful economic interests who are invested in taking their homes. In the state of Para, there have been 706 (from 1971-2001) murders of environmentalists and poor residents trying to protect the land; of which 534 have been in the south and east areas of the state. 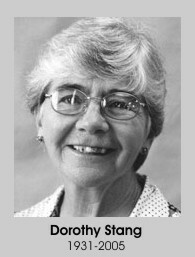 Besides the murder of Chico Mendes, another murder that consternated the world was the murder of Sister Dorothy Stang. On February 12, 2005, sister Stang was brutally shot in Para by hit men hired by grileiros. She was shot more than five times as she walked to a meeting in the Amazon Jungle. According to witnesses, as they were about to shoot her, she read a line from the bible: “blessed are the peacemakers, for they shall be the children of God.” She was an activist helping the poor residents of Para; trying to help them organize and stand against the grileiros. She was threat several times by the grileiros, who ultimately hired hit men to kill her. In June 2005, the two men were charged and extradited to the United States to be judged for her murder in American soil. The root of the conflict between the grileiros and the peasants is the access to the mahogany timber. For grileiros to be able to access the timber, they have to exploit the areas where the residents live. grileiros must destroy their houses and land. The demand for mahogany exports is high, specially from the United States and European Union. However, the quantities are scarce. Therefore, if Brazilian grileiros supply the scarce and restricted mahogany they get more money for the timber. The conflict seems to rise when the quantities of timber decreases. Even though the conflict is intra-state, between the grileiros and the peasants of Para, its impact is global. The deforestation of the Amazon has environmental repercussions all over the world (e.g. global warming). Therefore, all countries are interested in some way or another in its preservation. Organizations like Greenpeace, Monga Bay, and many others are international organizations with vested interests in the Amazon. Besides environmental reasons, there are the economical implications of the conflict. The conflict arises from international demand of timber used for furniture, coffins, lumber, and musical instruments, which are extremely profitable. The conflict with be smaller or inexistent if the pressures of the international mahogany market did not exist. 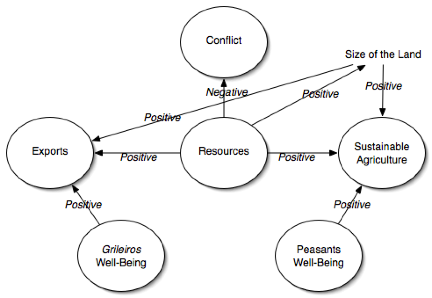 Due to the large demand, the grileiros see the need and profitability of maintaining a conflict with the peasants. This dispute between the grileiros and the peasants has been going since the 1970’s and doesn’t seem to stop any time soon. As long as there is a demand for timber, the problem will always exist. Lawmakers and law enforcers have tried to put a stop to it, but so far have not been able to do so. 5 of the 10 cases are directly related to deforestation and land-use problems. 1 of the 10 cases are directly related to logging and land-use. 4 of the 10 cases are from South America. 1 of the 10 cases are from the Caribbean. 2 of the 10 cases are from Africa. 3 of the 10 cases are from Asia. Khmer: On September 22,1992, Cambodia national council agreed to a moratorium on log exports. One reason for the moratorium was that moratorium was that intensive deforestation caused massive flooding in Cambodia. Severe floods and intensive deforestation caused massive flooding in Cambodia. These severe floods damaged led to food shortages in this poor country. Another objective of the moratorium was aimed at depriving the Khmer Rouge an extreme Maoist guerilla faction access to funding. Khmer Rouge guerrillas benefits from uncontrolled deforestation. The guerilla faction exported timbers to Thailand that banned logging in its own territory following severe flooding in 1988. This moratorium brought about a dispute on the relation between trade, environment, and politics in Cambodia. 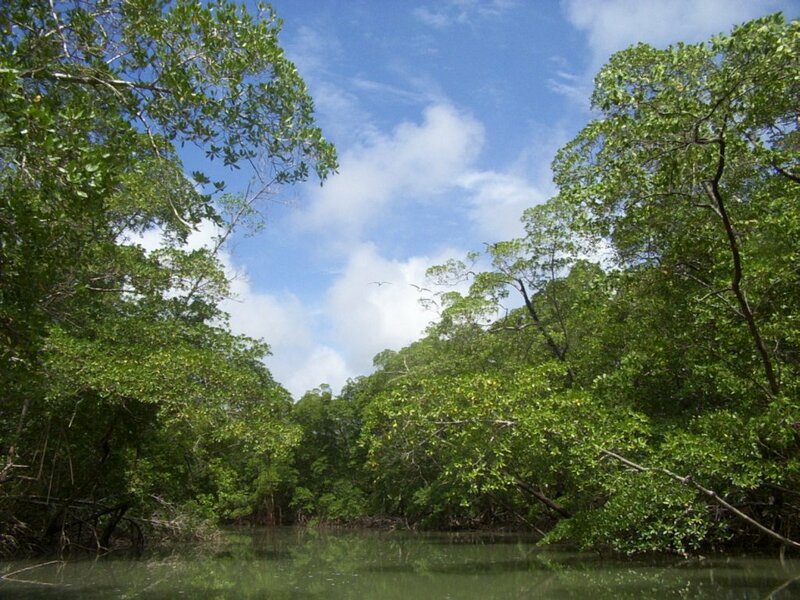 Belize:	How much is the Belizean rainforest worth? The Government of Belize values the rainforest at US $0.60 per acre, since it began selling logging rights at that price to foreign companies in 1993. The Mayan people of the Toledo district value the rainforest in a different way. Since 2,000 B.C., they have relied on the rainforest for their basic needs as well as spiritual value. This case study explores the clash between the Belizean government's need to attract foreign currency through meeting commercial interests of a Malaysian logging firm and the Mayan people's material and spiritual need to preserve the rainforest. These interests brought these parties into conflict. Amphetamine: The Golden Triangle, a region between the borders of Burma, Laos and Thailand, is a famous region in the world for its opium production. Alarm bells are now ringing over the rapid rise of amphetamine trade originated from the Burmese part of the Triangle. In the latest report of United Nations International Drug Control Program, amphetamine is dubbed as "Drug of the 21st Century Amphetamine trade is the number threat to the national security in many countries; among others, Burma's front-line state, Thailand, suffers the most because of substantial use of Ya Ba among Thai youth. Ya Ba trade have created conflict between Thailand and Burma on one hand, and Thailand and some of Burma's insurgent groups on the other. Burma's economy has declined after the effects of Asian financial crisis and the regime's own policy mistakes. Then drug trade becomes a major source of income for the weakening economy and of course to the Burmese regime. Guyana: In the country of Venezuela, gold mining is only possible in the Guyana region, which lies to the south of the Orinoco River. Like the rest of the Amazon river basin, the Guyana area has unique biodiversity characteristics whose preservation is vital and where human intervention must be measured against the highest standards in order not to upset the balance of this the greatest example of natural complexity in the world and which makes Venezuela the fourth country in the world with regard to bio diversity. Peten:The Guatemala civil war has been in progress since 1954 when the Guatemalan military led a CIA-backed coup against the administration of President Jacobo Arbenz Guzman, the country's popularly elected president. The protracted struggle ended "officially" on April 7, 1995, when the current Guatemalan government and the leftist guerrillas signed an accord to protect the rights of the 23 different Native American groups in the country. During the last forty years, the military has been levying a campaign of terrorism and genocide against these groups, most of them Mayas, in order to distribute native peoples' land among plantation owners. The main purpose for the war's continuation centers around the issue of land use and rights. Liberiadiamonds:The diamond trade contributes significantly to the private sector economies of many African nations. The vast majority of rough diamonds extracted in Africa are monitored in legitimate fashion by government agencies. However, some rough diamonds originate in areas controlled by rebels and evade proper monitoring. These "conflict diamonds," which help finance the violent activities of outlaws, enter the world's legitimate supply of diamonds between the time of extraction and the point at which they are processed. The trade in conflict diamonds has become a significant threat to stability in West Africa largely because of Charles Ghankay Taylor, the president of Liberia. Taylor actively supports a rebel group in neighboring Sierra Leone, the Revolutionary United Front (RUF), in exchange for diamonds. Taylor has also sold timber from Liberia's forests to pay for arms for the RUF and to enrich his personal coffers. Since the end of Liberia's civil war in 1997, the export of forest timber has become the government's key source of revenue. Forests that once fed and protected rural communities have withered, and at the current rate of logging the vast majority of the pristine forests that remain in Liberia will be gone within the next 10 years. Haitidef: In Haiti, a substantial share of poverty is also traceable to rapid population growth pressing upon limited endowments of soils and clean water. Deforestation and population growth, coupled with years of repression and colonial intervention has caused the uprooting of hundreds of thousands of Haitians. Many of these Haitians flee Haiti and head to the United States in boats and rafts. Vast numbers of men, women and children never make it to the United States. Those who do are deported back to Haiti. A vicious cycle soon begins, with the environment and innocent Haitian people caught in the midst of it. Aceh: The province of Aceh has a long tradition of resisting the Indonesian central government in Jakarta. This resistance began as a religious movement, but acquired a different tone once Mobil Oil Indonesia (MOI) discovered a vast wealth of oil and natural gas deposits in Lhok Seumawe, North Aceh in 1971. This discovery inspired the development of the Lhok Seumawe Industrial Zone (ZILS); an enclave devoted to oil and liquefied natural gas (LNG) extraction for foreign export. While the ZILS has been lucrative for MOI (now Exxon Mobil Indonesia) and power brokers in Jakarta, the Acehnese have only experienced the zone's harmful side effects: environmental degradation, dislocation of indigenous families, significant inflows of migrant workers, and disruptions in their traditional livelihoods. Congo-coltan:The conflict in the Democratic Republic of Congo, formally Zaire, is complex, complicated by the struggle for power over the country's vast resources by actors within and outside Congo. In recent years, one particular mineral, coltan, has been at the center of the fight. The precious ore is mined in rebel-controlled areas at the expense of national parks and depletion of wildlife. Coltan is a key element in cell phones, computer chips, nuclear reactors, and PlayStations. The market for the mineral has greatly increased in recent years, exacerbating conflict in Congo. Brazilmigr: The failure of Brazil's judicial system to bring large land owners and gunmen to justice for murder, slave-like peonage, and violent land expulsions of peasants from land has driven landless families to the northern most reaches of the country, the Amazon region, in search of safety and subsistence. There the conflict between small holders and unsatiated large landowners continues. The actors in the confrontation include innumerous indigenous people, and those involved in extractionist activities such as gold mining and rubber tapping.